Below you can view all the homes for sale in the Obervatory Park subdivision located in Denver Colorado. Listings in Obervatory Park are updated daily from data we receive from the Denver multiple listing service. To learn more about any of these homes or to receive custom notifications when a new property is listed for sale in Obervatory Park, give us a call at 720-729-2320. The original character coexists within this vibrant and thoughtful renovation! MLS#7683862. FRONTGATE REALTY GROUP INC. The home includes, two fireplaces, state of the art security system with cameras, 3rd floor media room, remarkable den/office, AstroTurf backyard and so much more! *home in floodplain* MLS#2457088. Unique Real Estate Investments, LLC. This is a great space entertaining with the great room and kitchen. Perfect location. MLS#6765730. Steck Real Estate. Basement features large family room, fitness room, wet bar w/wine room & separate guest quarters. Construction to commence May/June. MLS#5276164. SUBLIME REAL ESTATE & DEV. Project W/ Similar Layout And Finishes By Same Builder* MLS#9833801. LIV Sotheby's International Realty. Visit ObFlatsDenver.com to view all available floor plans and finishes. MLS#7433737. REDT LLC. Hang-out at the bar area or watch a movie in the theater. Don't forget Bedroom 6. MLS#8170266. KENTWOOD REAL ESTATE DTC, LLC. No detail was overlooked-- Scandinavian style oil finished white oak flooring throughout; upgraded aluminum and wood windows; Kohler fixtures; and designer lighting emphasize the home's painstaking attention to detail. MLS#6946609. Brokers Guild-Cherry Creek Ltd.. 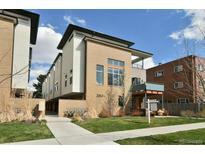 Situated between two parks, close to Light Rail, neighborhood schools and DU. MLS#4302083. PERRY & CO.
ft. lot offers the perfect place to build your dream home! Once in a lifetime opportunity! MLS#6843823. Grace & Company. Please contact Builder/Developer/Broker for more info or options. Owner Agent MLS#8759359. Stone Cloud Real Estate. Prime location 1 block from Observatory Park. MLS#3497077. FRONTGATE REALTY GROUP INC. Hurry still time to make color selections MLS#5671511. Keller Williams DTC. A beautiful home that maintains all of the charm of this historical neighborhood. MLS#7127158. LIV Sotheby's International Realty. Photos/Virtual Tour are of same floor plan showcasing current finish selections. FALL COMPLETION. MLS#6328113. SUBLIME REAL ESTATE & DEV. Enjoy all that O Park has to offer including acclaimed schools. MLS#9931311. RE/MAX ALLIANCE. House is currently rented so please do not disturb tenants. MLS#6785314. REDT LLC. Project W/ Similar Layout And Finishes By Same Builder* MLS#8883334. LIV Sotheby's International Realty. Visit ObFlatsDenver.com to view all available floor plans and finishes. MLS#8792382. REDT LLC. Visit ObFlatsDenver.com to view all available floor plans and finishes. MLS#4693638. REDT LLC. Visit ObFlatsDenver.com to view all available floor plans and finishes. MLS#6188320. REDT LLC. Visit ObFlatsDenver.com to view all available floor plans and finishes. MLS#6210511. REDT LLC. Project W/ Similar Layout And Finishes By Same Builder* MLS#6900394. LIV Sotheby's International Realty. Extensive wood work and crown moldings, an architectural staircase and front patio accentuate the custom details throughout this not-to-be missed home! MLS#2349509. LIV Sotheby's International Realty. A Regal Setting On The Park! MLS#6683838. KENTWOOD REAL ESTATE DTC, LLC.